Let’s jump into the Bible in Exodus Chapter 3 where it covers Moses and the Burning Bush. Moses was in exile (Ex 2:15) for killing an Egyptian who was beating on a Hebrew (Ex 2:11-12). But God had a plan for him. The Lord had an angel use a burning bush to get the attention of Moses. As he got his attention they had a short conversation of what the Lord wanted of Moses. (Ex 3:7-10). He saw the suffering that the Israelites have received from the Egyptians and God wanted them to be freed. However, Moses knew that saying I am Moses free my people wouldn’t be enough to get the Pharaoh to listen to him. (Ex 3:11) Moses then asked God, “Suppose I go to the Israelites and say to them, ‘The God of your fathers has sent me to you,’ and they ask me, ‘What is his name?’ Then what shall I tell them?” (Ex 3:13). God said “I Am”. (Ex 3:14). Powerful, timeless God, that will free the Israelites from torturous hands. How are they related? Vision came from a metal container and busted out from sparks and flames crafted from Thor’s lightning and the explosive power of the infinity stone. Thor was like the angel that brought the bush to flame. Vision uniform is generally in the colors of red and green, colors of a burning bush. He never said his name because God’s name is holy and very rarely should it be spoken out of reverence. In terms of Androids of the movie and his character in general he is God in someway. The Avengers were even referred to gods at some point in the movie. 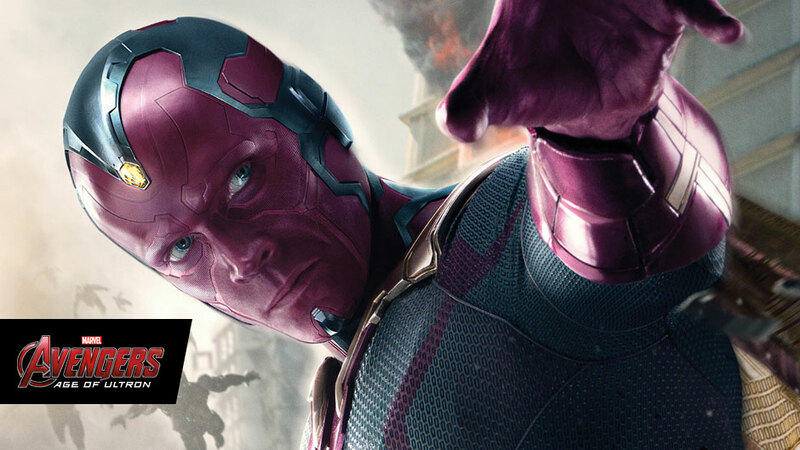 The scene where Vision activates is one of the greatest scenes in the film. Hope you enjoyed the two-parter. Thank you very much for taking the time to read them. Heavenly Father, Thank you for all of your blessing that you have given to us. You have allowed us to see your mercy and strength time and again. As you have delivered the Israelites from their plight please deliver us from our plight as well. Forgive us for our trespasses and please guide us through the murky waters of our lives. Thank you for hearing our prayer. In Jesus name I pray. Amen.